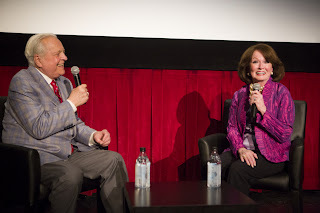 As I mentioned in my overview of the last day of the TCM Classic Film Festival, KISMET proved to be an unexpected highlight of the weekend. Of all the wonderful movies I enjoyed at the festival, KISMET was the one that moved me to tears of joy. 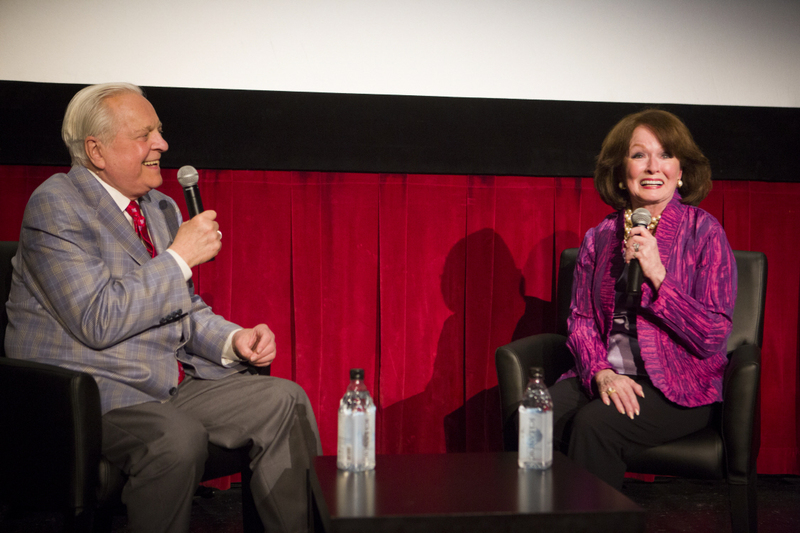 Ann Blyth discussed the film with Robert Osborne prior to the screening, as seen below in these photographs courtesy of TCM. Ann said that on the set "There was beauty everywhere," yet she was surprised to find director Vincente Minnelli curiously disengaged from the making of KISMET. She had been excited to work with Minnelli, but she believed he had not been interested in KISMET and was very much focused instead on the upcoming LUST FOR LIFE (1956). Ann said that it had been odd to play Howard Keel's daughter, especially as they had just played opposite each other in ROSE MARIE (1954), but she felt that he pulled off making the age difference believable thanks to makeup and his performance. I concur with her opinion. She closed by saying that she's had a blessed life, and she expressed gratitude to the audience for all of their support over the years. She is truly a lovely person, inside and out. Below, my own photograph taken from the audience. 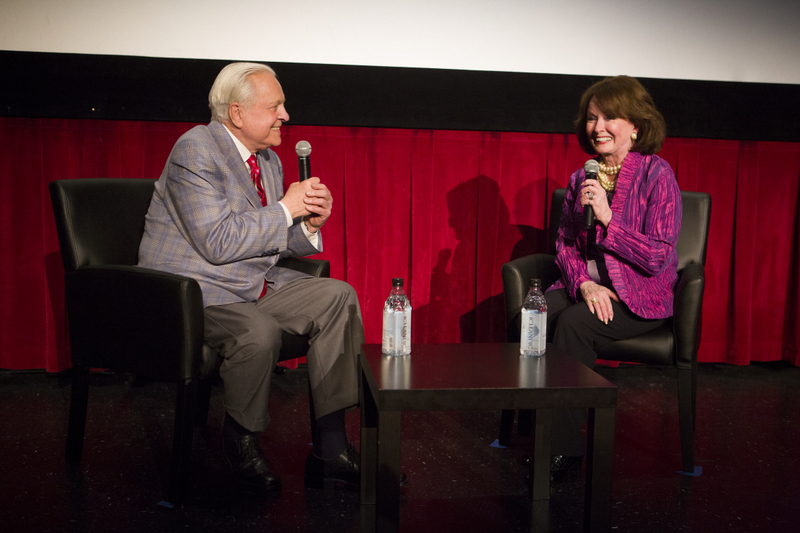 At the press conference prior to the start of the festival, Robert Osborne had shared that KISMET wasn't his first choice to show at the festival as part of the tribute to Ann, but it was the only one of Ann's MGM musicals which could be obtained in a nice-looking print. He added that Ann really likes KISMET so it worked out well. As I wrote previously, I'm an MGM musicals fan but had only seen KISMET once, years ago, and not been very impressed, other than enjoying the singing. However, when I saw it at the festival, it was the right movie at the right time. All it took was for the CinemaScope print to start running, with the gorgeous music playing during the opening credits, and I was moved to tears, something I would experience again more than once during the movie. This story of a beggar (Keel) whose lovely daughter Marsinah (Blyth) marries a prince (Vic Damone) still isn't a perfect movie...it's hard to believe that the director of visually sumptuous films such as MEET ME IN ST. LOUIS (1944), YOLANDA AND THE THIEF (1945), and many more created a film that looks pretty bland and "brown" much of the time. Blyth's comments about Minnelli's detachment seem to provide the explanation for that aspect. Hugh Fordin's classic book on MGM's storied Freed Unit confirms Ann's account, providing the information that not only was Minnelli focused on LUST FOR LIFE, he had protested that he hated KISMET and didn't want to make the movie. I'm also not a fan of Jack Cole's choreography in this film; it just doesn't work for me. Part of the issue may be that none of the lead characters dance, but I just didn't go for the style here. I'm hard-pressed to think of another film where I actually dislike the dance numbers. That said, I was completely swept away by the singing of Keel, Blyth, and Damone, and this time around I also appreciated Dolores Gray's performance as Lalume. The music was absolutely glorious, with many highlights including "Baubles, Bangles and Beads," "Night of My Nights," "Not Since Nineveh," "And This is My Beloved," and especially my favorite, "Stranger in Paradise." For a musical fan such as myself, "Stranger in Paradise" is a deeply moving scene of musical beauty. The movie left me with the unique "high" I get from MGM musicals. I was so glad I gave it another chance on a big screen! The entire viewing experience, including the preceding interview with Osborne and Blyth, was very special for me. The supporting cast includes Ted de Corsia, Sebastian Cabot, Jay C. Flippen, Monty Woolley, Mike Mazurki, and Jack Elam. IMDb indicates that Stanley Donen did uncredited directing work on the film, which runs 113 minutes. It was filmed by Joseph Ruttenberg. 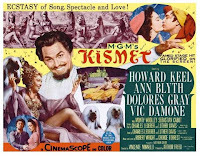 KISMET was released on DVD in the set Classic Musicals From the Dream Factory, Vol. 3. It can be rented from ClassicFlix. KISMET will be shown on Turner Classic Movies on August 16, 2013. 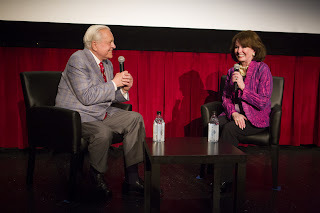 I believe this will be a day celebrating Ann Blyth as part of the annual Summer Under the Stars festival. The trailer is at the TCM website. July 2014 Update: KISMET has now been released on Blu-ray by the Warner Archive; I review the Blu-ray here. Wonderful review and I can only imagine how terrific Kismet must have looked on the big screen. As you say, fabulous music ,beautifully sung. What a varied career Ann Blyth had, from musicals, drama to action adventure. Anything with those four leads in it I will watch. I recall viewing this film long ago with the family. 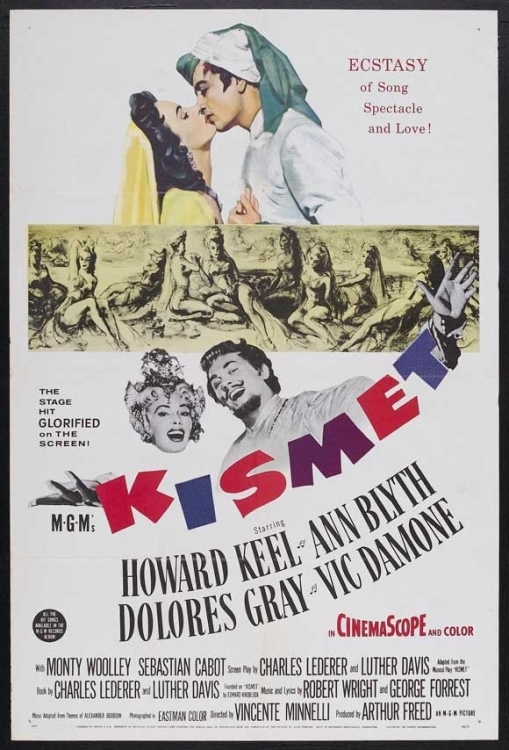 I had been totally enamored of Vic Damone since Hit the Deck and Athena, so I loved Kismet. 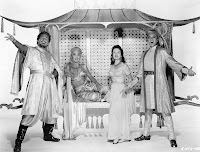 Keel was always an arresting presence for me since Seven Brides for Seven Brothers. We wore out that tape. It's too bad that I couldn't be at the festival. I knew it would be a blast and it didn't disappoint, it seems. Thank you for sharing the experience. I remember enjoying KISMET as a kid mostly because Keel is hilarious as a scoundrel and Damone's singing steals my heart. It's a shame that I couldn't be at the festival. Thank you for sharing the experience. I think as Ann Blyth said it is visually beautiful and not bland and "brown"--this print may have had a touch of fading still, even if it wasn't gone. 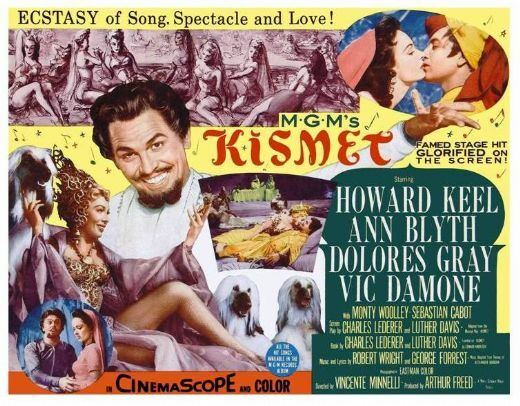 This was the case the last time I saw KISMET--not all MGM movies made in Metrocolor look equally good now. I too like the songs very much--and Minnelli could make a movie look decoratively beautiful with his eyes closed. But even though I like it, it's one of a handful of Minnelli movies that I do consider relatively weak for him. He was not engaged in it--in his own autobiography he makes it clear that very simply, this was a deal for him--he agreed to do it in return for them letting him make LUST FOR LIFE, which was the one movie he most wanted to do, a very personal film for him, and did turn out to be his favorite of all his films, something he was always very clear about. The reason Stanley Donen did some direction just at the end to finish was that Minnelli was off to Europe for LUST FOR LIFE. Hi Blake! 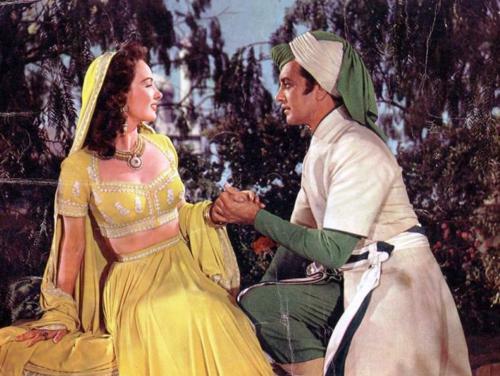 The print for the most part seemed very good -- I think it's more the overall color palette Minnelli used that I find "blah" and brownish, as far as how he depicts the desert or even the wazir's harem -- there just aren't enough vibrant colors in it for me. Blyth's colorful wardrobe in some scenes such as "Stranger in Paradise" seemed to be the exception. The film seems a visual letdown compared to most of his work. But if there happens to be a much more colorful print out there maybe I'd change my mind on that aspect! I know Minnelli is someone whose work you know really well so your added insights are very much appreciated! I haven't read Minnelli's own book in many years. I also have Minnelli books by Casper and Harvey which I need to take the time to revisit in light of this recent viewing. I think it does speak to the power of the good aspects of the film, and especially its music, that seeing the film moved me so much despite what I see as its flaws.